Can you believe it's already Thursday? This week is just flying by! It's suppose to warm and sunny here starting today and last through the weekend! Whoo Hoo!!!! Shut the front door, $42.00 for this beauty! Sold. Check out the model in the black pants with it...amazing! Hello, when did Anthropologie start carrying workout clothes? Looks like Lululemon except better price and better colors! Dying to try this!! I have heard nothing but rave reviews, and I am thinking I may go bold and get the Pink in Devotion!!! 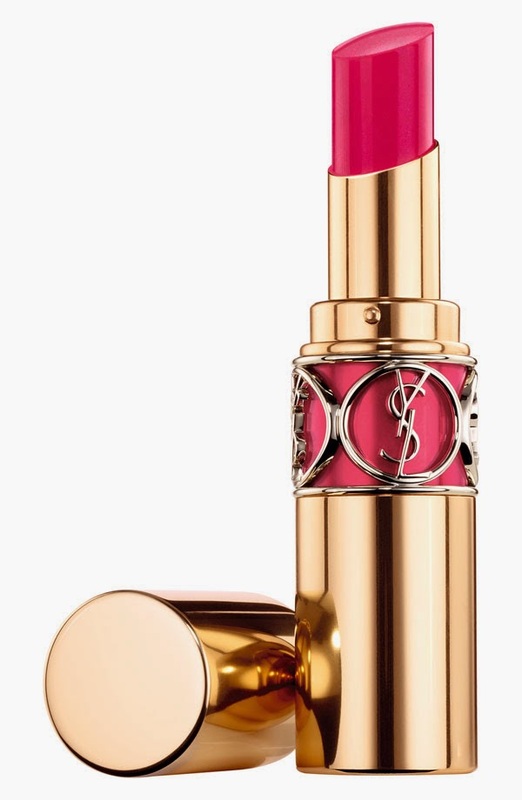 Anyone tried this lipstick before? Can you believe I still do not own a chambray shirt? What the heck is wrong with me? All is about to change..... especially since J.Crew just announced 25% off your purchase!!!! Use code HEYSPRING to save!! How cute is this pattern? Such a fun, comfy dress to throw on during those hot summer months. I would have to say Joe's jeans are probably one, if not my favorite brand of jeans. Really loving these rolled up shorts, it will be a nice change from the cutoffs I always wear. The price isn't too bad either. 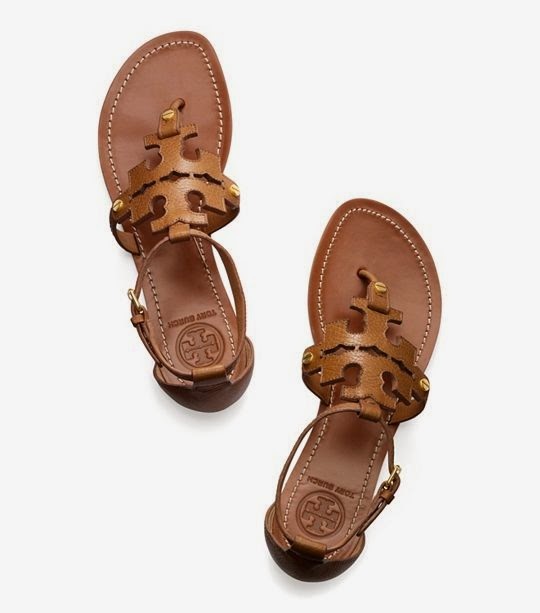 Tory Burch you are killing it and my wallet this season. 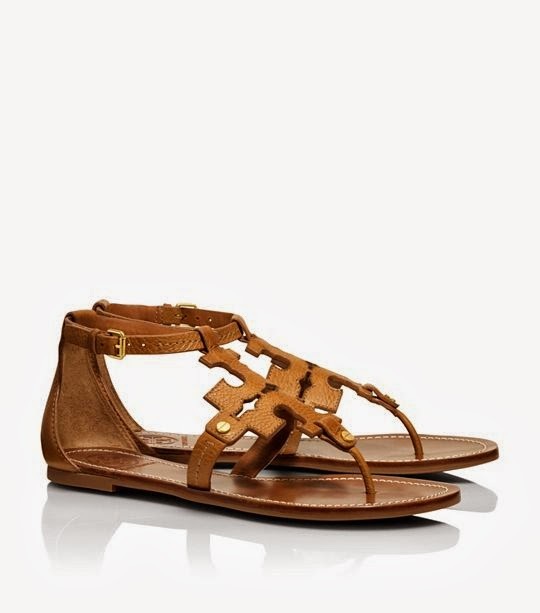 How amazing are these sandals?? Maybe, just maybe the prettiest cover up I've ever seen. Love the embroidered pink. Yes, that lipstick is wonderful! They have the most beautiful colors too! damn, now I want those tory sandals. That coverup is amazing! I've been wanting to try the lipsticks too so make sure you give us your review of them! I need that lipstick! 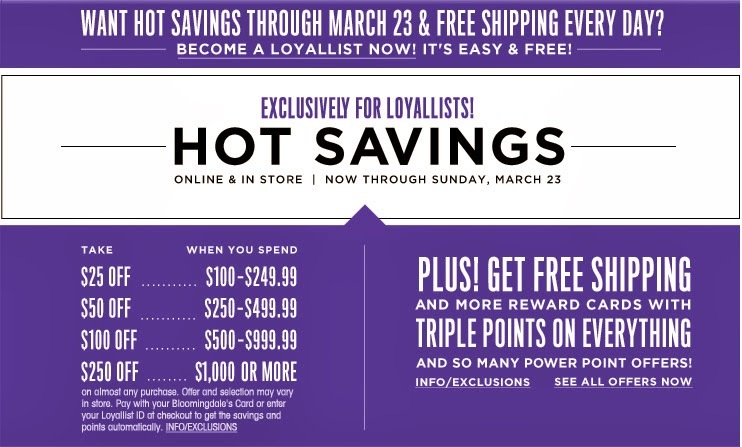 Huge beauty event this weekend at Nordstroms!!! I may have just ordered those sandals two days ago :/ I loved them too!! lol! I want one of each please! Great list!!! That chambray shirt looks like perfection, so hard to find one that is femine and flattering! Scored these joes jean shorts for my 3 year old at Marshalls for 14.99! I died! oooh that workout tank is FUN. Such a cute workout tank. Loving everything tribal - including those maxis - right now! Great picks, love them all! My favorites are the embroidered cover up, the maxi dresses, and that all in one anthropology tank. You absolutely MUST invest in a chambray shirt, i love mine because you can wear it through all the seasons and do so many different things with it. Anthro has workout clothes!? Oh goodness! And I LOVE my JCrew Chambray shirt - it's definitely a go-to with everything when I'm not hugely pregnant.